The bowl-first BBL trend: Default guess or do results back the chase? Back in the early 2000s, when Twenty20 cricket started with pretty much immediate success in England, the preference among captains winning the toss was to bat first and defend whatever runs they’d put on the board. 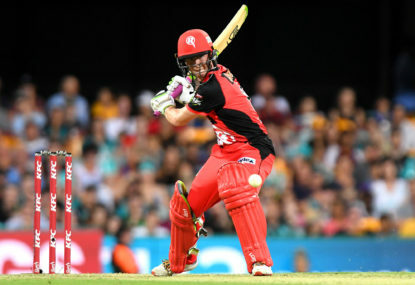 This followed whether the format popped up around the world, and in the first few seasons of the revamped Big Bash League were no different, with a slight leaning toward batting first and roughly half the teams who won the toss actually going on to win the game. Interestingly though, in the middle of all that, the second season saw teams bowling first win 22 of the 35 games played. Call it the early seeds being sewn in the memories of captains and coaches. 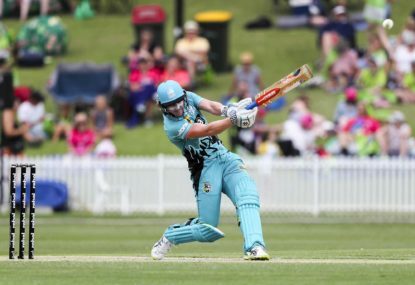 By BBL04 in 2014-15, slightly more than half the teams who won the toss went on to win the game, and the split was pretty even again: 16 teams won batting first, while 18 bowled first. From that season, the trend definitely started growing. BBL05 saw 19 teams win the toss and bowl first, and the team bowling first won 20 of 35 games. In BBL06, 28 teams won the toss and bowled, and the team bowling first won 23 of 35 games. Last season, the number winning the toss and bowling reached 30. In an expanded season of 43 games, the captain winning the toss batted just 13 times. But the team batting first won 21 games. Was the tide starting to turn? Clearly the Adelaide Strikers thought so in BBL07. And they might have started thinking this the season before. Back in BBL06 (2016-17), the Strikers won just three games and two of them came batting first. And further, they lost four of the five games in which they won the toss and sent the opposition in. Come BBL07, coach Jason Gillespie may very well have seen that while his bowling attack was decent, his young batting talent was the strength within their squad. So the Strikers, did something no-one else was game to. As I mentioned above, only 13 times did the team winning the toss bat first. 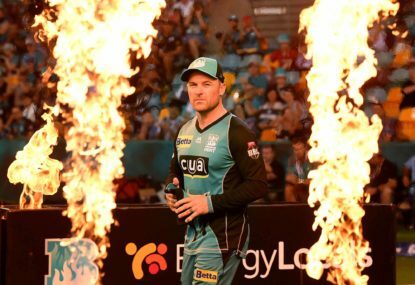 But six of those occasions were the Strikers, including both the semi-final and the BBL Final, both played in front of screaming home crowds. All up, Adelaide won nine matches on the way to claiming their maiden Championship, and seven of them came batting first. This season, in the thirteen games completed to date, the split is five wins for the side batting first and eight for the team bowling first. 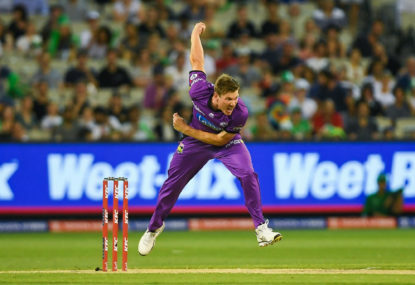 Yet the captain winning the toss – or sorry, the bat flip, as was introduced for BBL08 – has bowled first 12 of those 13 games. That is, despite the numbers of teams winning by batting or bowling first evening up last season, and with that trend continuing this season, captains are still caught in their default position. 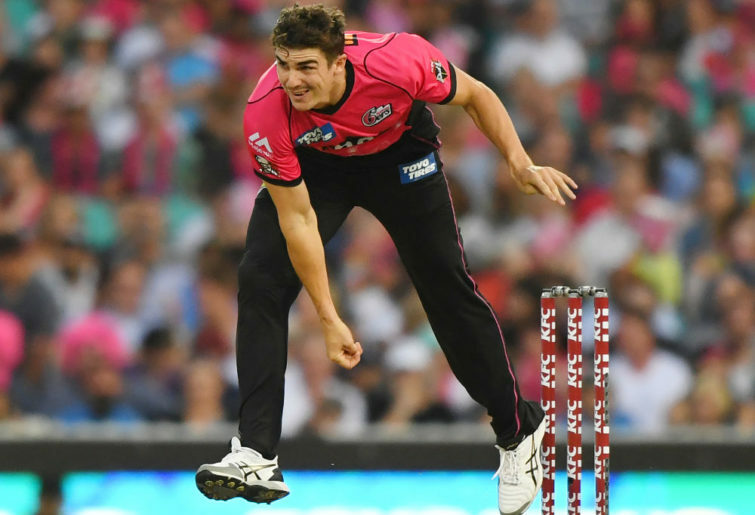 And it very much is the default position; Sydney Sixers captain Moises Henriques conceded on Saturday night after losing the toss and being sent in by the Melbourne Renegades’ Tom Cooper, that he “probably would’ve bowled first” and that uncertainty about the way the wicket was going to play was the driving force behind that. That’s clearly a common train of thought. 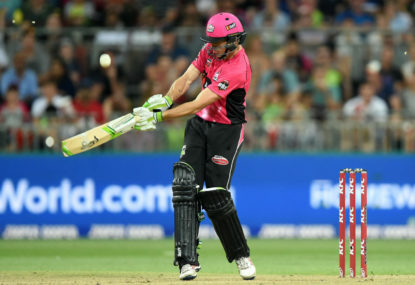 The 13 completed games have been played at ten different venues already this summer, and clearly skippers are still battling to recognise what BBL decks are going to do. The answer is ‘not much’, if teams took even just a cursory glance at the BBL08 scores. Five of the top seven scores posted this summer have come batting first. And the average score batting first is 7/146 to the average chasing score of 6/133. 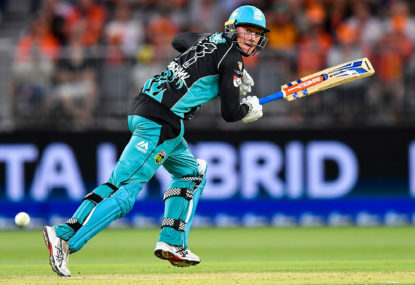 The Sixers have been the only team to win the toss and bat in BBL08, that being their successful defence of 4/164 against the Perth Scorchers at the SCG. Interestingly enough, the Sixers have made a habit of defending pretty much any score against Perth in Sydney of the history of the BBL. Both the Sixers’ two wins this season have come batting first. Sydney Thunder have been sent in three times so far, and have won twice. Conversely, Hobart have chased in the last three of their four wins. Interestingly, Adelaide have only won the toss once this summer, bowled first, and won. And they’ve lost both games they’ve been invited to bat first in. Have they forgotten their formula from last season, of does carrying the target of ‘reigning champions’ on their back mean other teams have worked them out? Everything that’s old is new again. Where once putting a score on the board and trying to defend it was the default position, the results have very much swung back in that direction. Teams used to win significantly more games bowling first than they did batting first, but not anymore. So on that front, it will be interesting to see how long this very obvious bowl-first mentality remains the default guess when ‘roofs’ or ‘flats’ are called this summer.